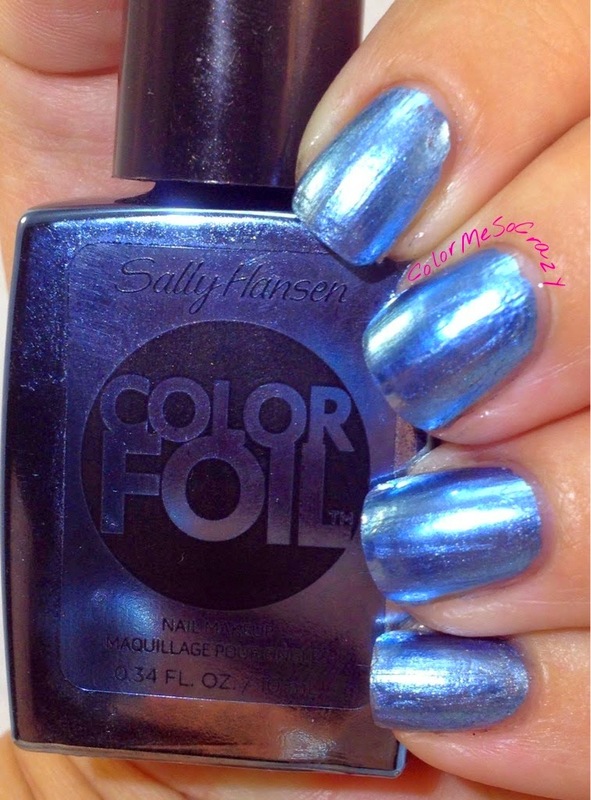 Sally Hansen Color Foils are brand new to the Sally Hansen family. I get to show you two of them today. I really like metallic finishes for when I need some extra pizzazz. 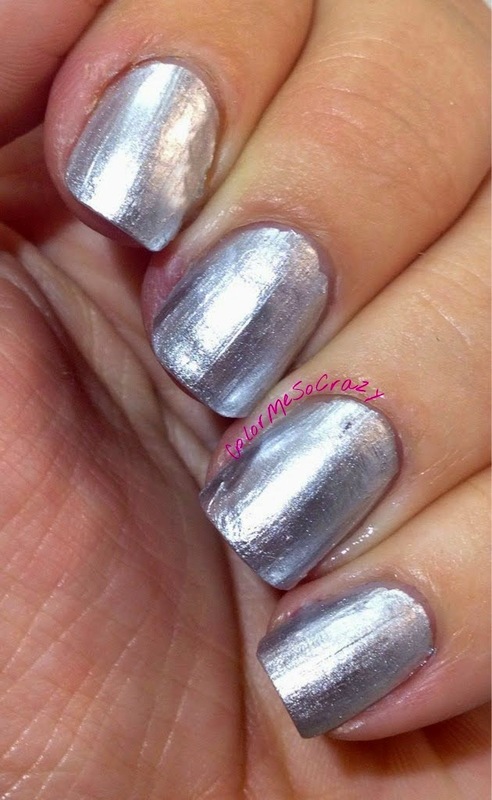 I think metallics add a very futuristic look to any nail design. First up, I have Cobalt Chrome. 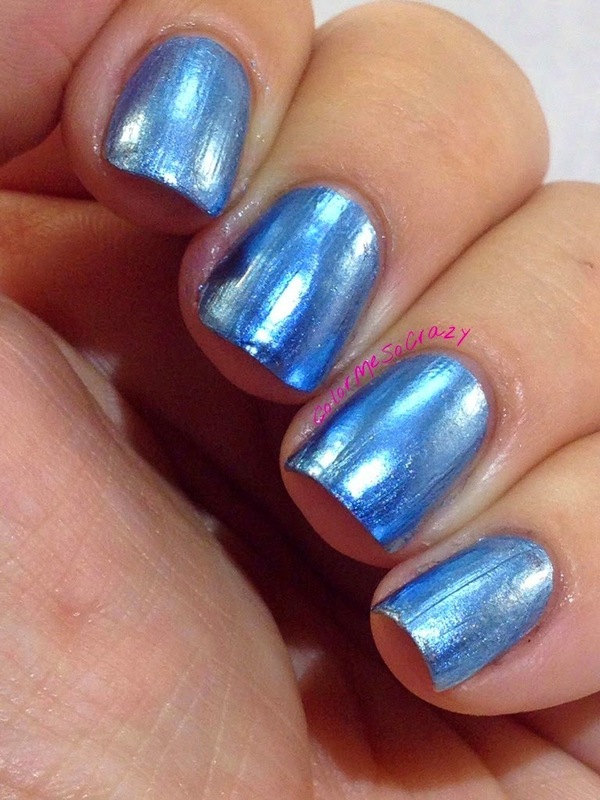 It is a blue metallic polish. As with all metallic polishes I have come across, this needs to be handled with care. First, you need to shake your bottle- well roll it. You should always give your polishes a good mix before you use them, but these need a little extra. Also, I learned that these apply the nicest without a base coat. I do not like to put any polish on my nails without a base coat, but if you want a more even application, you need to with these. The only thing I put underneath these are my protein treatment. You have to let it dry COMPLETELY before you put the polish on. 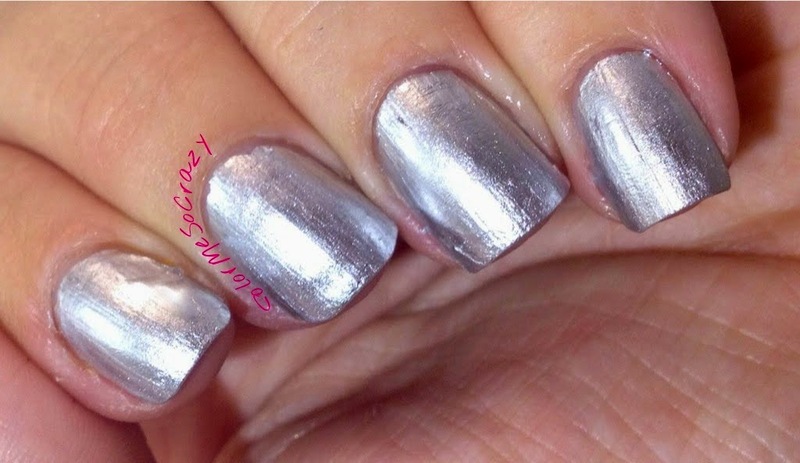 The next color I have is a silver chrome called Sterling Silver. 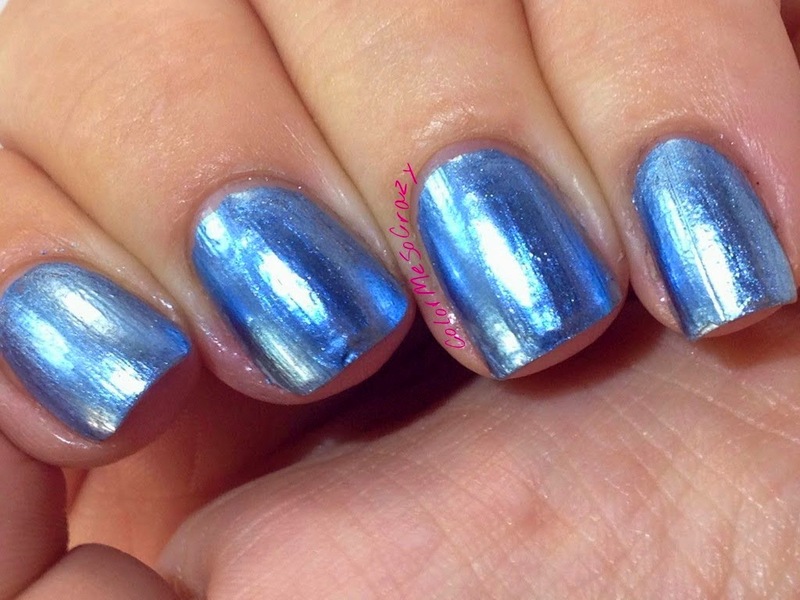 This is a almost perfect dupe for essie No Place Like Chrome and OPI Push & Shove. So, SAVE YOUR MONEY AND GO DRUG STORE BRAND!! Once you put your polish on, you are going to want to apply it from side to side on the nail. Try not to put polish on top of an area that you already did because it may pull it down. 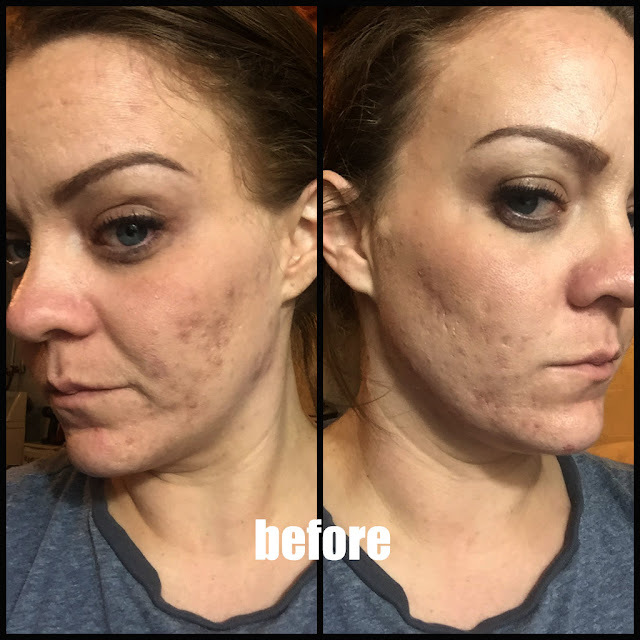 The finish is really awesome, but the application is key. They are not the easiest polish to put on, but if you take your time and put it on carefully it looks great! 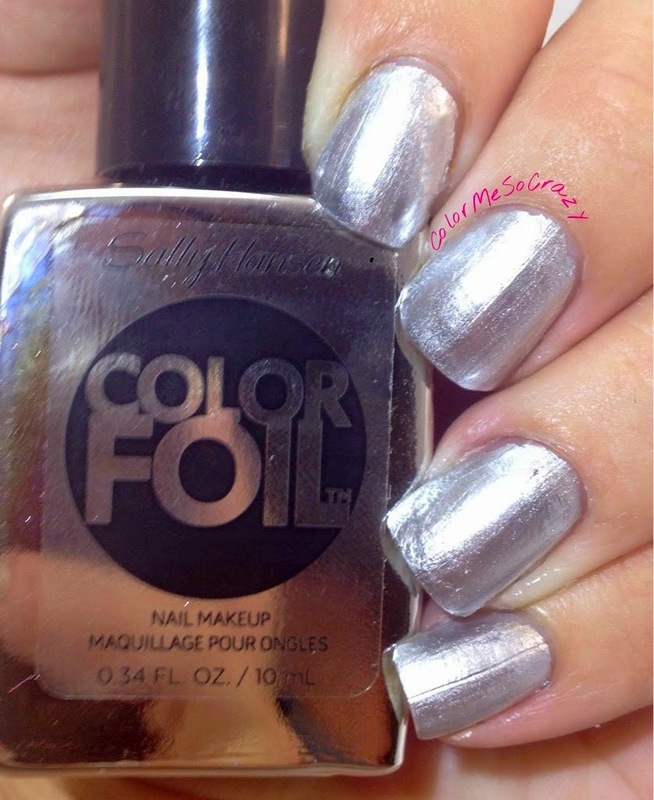 My last tip for wearing metallic polishes including the Sally Hansen Color Foil polishes are wait until you nails are COMPLETELY dry to add your top coat. Your polish will pull and you will have to start over. You should absolutely wear a top coat to seal all those visible ridges in, but wait so you don't have to strategically pace the polish all over again. If you love these and want to see the rest of the colors from the collection, you can check them out here. You can buy them from just about any grocer or drugstore and even your local Target! These retail for about $10.